Michael is a forestry scientist who specialises in remote sensing and development of models to characterise growth, health and wood quality of the forest resource. He has published over 150 refereed papers around these and other topics within forestry. Michael works extensively with the New Zealand forest industry and has a track record of undertaking science that has been adopted by the industry. He is co-leader of the LiDAR cluster group which is one of the most well attended industry focus groups within the forestry sector. 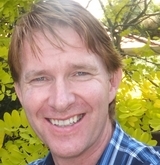 Michael is currently a research leader at Scion and has many international links with other research groups in Europe, Australia and South America. Pearse, G., Watt, M.S, Morgenroth, J., Dash J. Optimising prediction of forest leaf area index from discrete airborne lidar. Remote Sensing and Environment 200, 220-239. Dash, J. P., Pearse, G., Watt, M.S. (2017) Assessing very high resolution UAV imagery for monitoring forest health using a simulated disease outbreak. ISPRS Journal of Photogrammetry and Remote Sensing 131, 1-14. Dash, J. P., Pearse, G. D., Watt, M. S., & Paul, T. (2017). Combining airborne laser scanning and aerial imagery enhances echo classification for invasive conifer detection. Remote Sensing, 9(2), 156. Watt, M.S., Kimberley, M.O., Dash, J.P., Harrison, D. (2017) Spatial prediction of optimal final stand density for even age plantation forests using productivity indices. Canadian Journal of Forest Research 47, 527-535. Pearce, G.D., Watt, M.S., Morgenroth, J. (2016) Comparison of optical LAI measurements under diffuse and clear skies after correcting for scattered radiation. Agricultural and Forest Meteorology 221, 61-70. Moore, J.R., Watt, M.S. (2015). Modelling the influence of predicted future climate change on the risk of wind damage within New Zealand’s planted forests. Global Change Biology 21, 3021-3035. Kriticos, D.J., Leriche, A., Palmer, D.J., Cook, D.C., Brockerhoff, E.G., Stephens, A.E.A., Watt, M.S. (2013) Linking climate suitability, spread rates and host-impact when estimating the potential costs of invasive pests. PLOS One 8(2): e54861. Watt, M.S., Palmer, D.J. (2012) Use of regression kriging to develop a Carbon: Nitrogen ratio surface for New Zealand. Geoderma 183-184, 49-57. Kirschbaum, M.U.F., Watt, M.S., Tait, A., Ausseil, A.E. (2012) Future productivity of Pinus radiata in New Zealand under expected climatic changes. Global Change Biology 18, 1342-1356. Pawson, S.M., Brockerhoff, E.G., Watt, M.S., Didham, R.K. (2011) Maximising biodiversity in plantation forests: insights from long-term changes in clearfell-sensitive beetles in a Pinus radiata plantation. Biological Conservation 144, 2842-2850. Watt, M.S., Kirschbaum, M.U.F. (2011) Moving beyond simple linear allometric relationships between tree height and diameter. Ecological Modelling 222, 3910-3916. Watt, M.S., Stone, J.K., Hood, I. A., Manning, L.M. (2011) Using a climatic niche model to predict the direct and indirect impacts of climate change on the distribution of Douglas-fir in New Zealand. Global Change Biology 17, 3608-3619. Watt, M.S., Bloomberg, M., Finch-Savage, W.E. (2011) Development of a hydrothermal time model that accurately characterises how thermo-inhibition regulates seed germination. Plant Cell and Environment 34, 870-876. Watt, M.S., Xu, V., Bloomberg, M. (2010) Development of a hydrothermal time seed germination model which uses the Weibull distribution to describe base water potential. Ecological Modelling 221, 1267-1272. Watt, M.S., Kriticos, D.J., Potter, K.J.B., Manning, L.K., Tallent-Halsell, N., Bourdot, G.W. (2010) Using species niche models to inform strategic management of weeds in a changing climate. Biological Invasions 12, 3711–3725. Bown, H.E., Watt, M.S., Mason, E.G., Clinton, P.W., Whitehead, D. (2010) Influence of nitrogen and phosphorus supply on mesophyll conductance limitations to photosynthesis in Pinus radiata. Tree Physiology 29, 1143-1151. Bown, H.E., Watt, M.S., Whitehead, D., Mason, E.G., Clinton, P.W. (2009) The influence of N and P supply and genotype on carbon flux and partitioning in potted Pinus radiata plants. Tree Physiology 29, 857-868.